AZ Property Inspections exists to provide quality property inspections in the state of Arizona. As a leading inspection firm, we provide quality work and exceptional service and consultation to home buyers, investors and realtors. AZ Property Inspections has performed more than 23,000 property inspections across Arizona. Real Estate Agents and their clients choose us because we deliver 100 percent customer satisfaction. Our inspectors are professional and highly trained. We are an important partner in the home buying process. 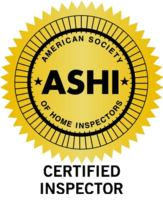 Together, our inspectors have more than 50 years of home inspection experience.